Update: The signatures have officially been submitted to the Division of Elections. See the news release at the bottom of this article. The backers of a voter initiative to tighten the Legislature’s conflict of interest rules and end per diem payments when a budget isn’t passed by the end of the regular session say they have more than enough signatures to put the Alaska Government Accountability Act on the 2018 ballot. More than 45,000 signatures are expected to be turned into the Division of Elections’ Anchorage office on Friday morning. About 32,000 signatures are needed to put any initiative on the 2018 ballot. The act would also ban lobbyist from buying legislators meals and reinforce rules around foreign influence in Alaska’s elections. The backers of the initiative include legislators Rep. Jason Grenn, I-Anchorage, and Rep. Jonathan Kreiss-Tomkins, D-Sitka, as well as Anchorage Republican campaigner Bonnie Jack. The group has received support from Jim Lottsfeldt, the owner of The Midnight Sun. Lottsfeldt was also involved with two health care initiatives that suspended signature-gathering efforts late last year. Grenn announced the group made its signature goal on his personal Twitter account Thursday afternoon, encouraging friends and supporters to attend the event. Legislators would no longer be able to claim per diem payments—$295 per day—if the operating budget is not passed by the end of the regular session. On average, legislators collected about $37,000 in per diem during the regular and special sessions this year according to the most recently reported numbers. Lobbyists will no longer be able to buy legislators dinner. Such dinners have been held prior to important votes—such as a $100 dinner before a vote on Anchorage legislative offices and a $78 dinner before a vote on an oil tax bill. Enact stronger conflict of interest rules for voting in the legislature. It would broaden what counts as a conflict and make it more difficult to override declared conflicts of interest. Currently, requests to be excused from voting because of a conflict of interest are easily overridden with an objection that isn’t officially recorded. The new changes are similar to Grenn’s House Bill 44 and would require the objection to be recorded and then voted on by a majority of each chamber. The per diem provisions have been particularly popular as legislative per diem payments made plenty of headlines this year. Legislators can collect $295 per day when the Legislature is in session on top of an annual salary of $50,400. When the group debuted the initiative, legislators had already collected more than $400,000 in per diem payments during the special sessions alone (this was before the October special session). Others have already moved to take action on per diem. The State Officer Compensation Commission voted unanimously earlier this week to end per diem payments for any legislator with a primary residence within 50 miles of session (it was split on whether to hand down a 10 percent pay cut to legislators). During the regular 90-day session in Juneau, those rules would only affect three legislators, but amounts to more than $26,000 in per diem payments per legislator. Gov. Bill Walker has also announced plans to introduce legislation that would punish legislators by ending per diem payments for failing to pass an operating budget by the end of the 90-day session. The Division of Elections will now review the signatures to ensure that they’re from eligible voters. If legislators adjourn on time—April 15, 2018—the initiative will appear on the primary ballot. If the legislature adjourns after April 23, 2018 (as it probably will) the initiative will appear on the general election ballot. 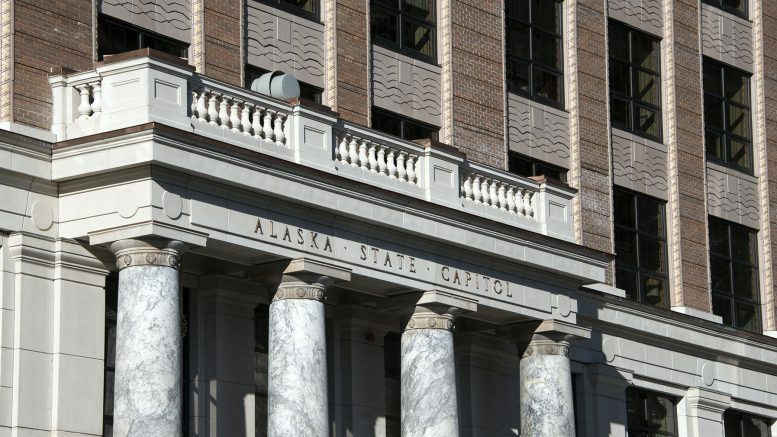 The Legislature will also get a stab at preempting the initiative by passing its own version of the Alaska Government Accountability Act. ANCHORAGE, AK – Alaska voters will likely have the opportunity on their ballots this year to hold government accountable by limiting lawmakers’ per diem when they fail to pass a budget on time, restricting lobbyist gifts to politicians, and strengthening conflict of interest rules. The nonpartisan group sponsoring the measure, Alaskans for Integrity, submitted 45,408 signed petitions from Alaska voters to the Division of Elections. No budget, no pay. Legislators would no longer be entitled to the daily per diem allowance if the budget is not passed by the end of the regular legislative session. Restricts lobbyist gifts to legislators. Closes gift rule loopholes to ban lavish meals and alcoholic beverages for legislators paid for by lobbyists. Strengthens conflict of interest rules. Requires legislators to declare conflicts of interest before voting and excuse themselves from voting when they or a member of their family has a financial conflict of interest. Protects Alaska elections from foreign influence. Prohibits corporations significantly controlled by foreigners from spending on Alaska’s state and local candidate elections. Foreign travel restrictions. Legislators will no longer be able to bill the state for international travel unless they can show how the trip benefits Alaskans and serves a legislative purpose. “The no budget, no pay provision is key for many Alaskan voters,” said Bonnie Jack, Republican co-chair of Alaskans for Integrity. “Taxpayers rightfully don’t want to pay extra to legislators if they don’t get their job done on time.” Alaska legislators make a base annual salary of $50,400 but taxpayers also pay them $295 per day, a “session per diem,” for every day the Legislature is in session. When the Legislature does not complete the budget on-time, current law allows the $295 payments to continue when they are in extended or special sessions. In 2017, legislators received an average of $37,000 in tax-free per diem on top of their salaries. Despite their per diem allowances, legislators are currently permitted to accept meals from lobbyists, who take advantage of a loophole in the law that allows them to buy unlimited food and drink for elected officials. The current law also authorizes a legislator to bill the state for travel to foreign countries without proving how such travel benefits Alaskans and serves a legislative purpose. Three state senators billed the taxpayers $17,000 to visit Russia for a policy conference last year. 32,127 valid signatures are required for the measure to be certified for the ballot. Alaskans for Integrity is a nonpartisan coalition that believes the Government of Alaska must be accountable to the People of Alaska. Be the first to comment on "Initiative to toughen Legislature’s ethics and per diem rules has enough signatures for 2018 ballot, backers say"